Each month, two million WhatsApp accounts are suspended because they violate the rules. The service responds to allegations that favor the distribution of false news. WhatsApp says it deletes two million accounts each month. This is reported by the British “Guardian” and refers to a report by the company on disinformation and “fake news”. With the paper WhatsApp wants to show what is being done against the dissemination of misinformation. Especially in India, where WhatsApp has 200 million users, the Facebook subsidiary is under pressure. The Indian government accuses the service of favoring conflict in the population. Rumors and misinformation disseminated through the service had repeatedly led to violence in the past . The Guardian reports on “up to 30 lynch mobs”. WhatsApp now tries to restrict the distribution of potentially dangerous content through various measures. WhatsApp users can now forward messages to as few as five people instead of 20. The change was first introduced in India and has been global since January . In the report, WhatsApp also encourages its users to report spam and rule violations. The notes should also train software that automatically detects and rejects spam accounts. “We’re not here to give people a megaphone, we’re here for private messaging,” said Matt Jones, who heads the WhatsApp anti-spam team. The department is regularly dealing with resourceful hackers who are trying to undermine the WhatsApp protection mechanisms. 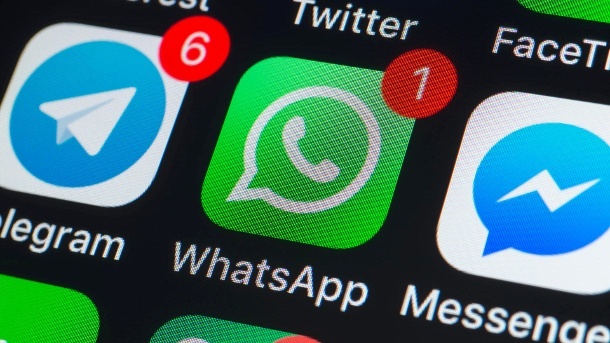 According to Jones, in the past there were cases in which attackers had manipulated devices to serve multiple WhatsApp accounts simultaneously. Others used software to simulate WhatsApp on the computer. As soon as the “abnormal WhatsApp behavior” is noticed, such accounts are blocked. About 95 percent of all deleted accounts are detected by the anti-spam team, not user advice. Amongst other things, spam accounts can be recognized by the fact that the messages sent via them are rarely typed. The typical hint “XY writes …” never appears in the WhatsApp status bar. Even accounts that send a high number of messages shortly after registering classify WhatsApp as suspicious. There will be a big election in India in April. The policy fears an election influence on WhatsApp false reports. However, according to WhatsApp, the big parties use the messenger service themselves to mobilize voters. They even tried to circumvent the limitation of the forwarding function by forwarding messages to groups. These can have up to 256 members. It has made clear to the politicians that WhatsApp is not a “broadcaster” for disseminating political campaigns. Any attempt to misuse the service for anything other than private communications would result in an account suspension.